How has Sri Lanka's experience with democracy and democratic institutions impacted the civil war in the island state? Jayadeva Uyangoda takes a closer look. There is something quite surreal about Sri Lanka's story of democracy. At one level, modern democratic institutions have taken fairly strong roots in the polity. Sri Lanka has, to use an academic cliche, a working democracy with a fairly long and uninterrupted history. The political party system has penetrated even the remotest village in the country. Regularly held elections are occasions of popular celebration with the level of voter participation being, normally, over seventy-five percent of the electorate. Sri Lanka has a fairly active and vibrant associational civic life, an influential Left, and a trade union movement has been a major feature of alternative politics for decades. Yet, Sri Lanka has faced three armed insurgencies in just two decades, in the seventies and eighties. A minority secessionist insurgency, spread over two decades, continues to threaten the territorial unity of the Sri Lankan nation-state. Political violence associated with these multiple civil wars has come to define even democratic, electoral politics. In a way, Sri Lanka is a strange case where liberal democracy and "un-democracy" co-exist as parallel, and mutually nourishing, processes in post-colonial politics. This surrealism in democracy has been a part of the island's political modernity. Modern, "western" practices of democracy were introduced to the island of Ceylon, as Sri Lanka was known at the time, by the British colonial rulers in the early twentieth century. The principle of elected representation evolved in the first three decades of the century, culminating in the introduction of universal adult franchise in 1931. In that year, an elected legislature, too, was established. However, in the absence of a political party system, the democratic principle of franchise and representation reinforced the politics of communal and caste identities. When a political party system started to evolve after independence in 1948, ethnicity, religion, caste, and family became defining social categories of democratic political competition. Sri Lanka's political modernity has been a process in which seemingly primordial categories of race, caste, etc assumed a thoroughly modern character. This, in a way, tells us about the peculiar forms in which an essentially European concept and institutional process has become domesticated, posing challenges to such foundational notions of democracy as secularism, equality and individual rights. In this regard, Sri Lanka, of course, is not alone in South Asia. When we look at it retrospectively, we can see that modern liberal democracy has had a dual career in post-colonial Sri Lanka. Firstly, it has helped widen the social basis of the state by enabling the political elite to establish links between the state and the masses of the subordinate social classes. Sri Lanka's dominant political elite has emerged essentially from among a few families of the westernized and patrician notables. The geographical area within which these ruling elite families live is not more than two-to-three square kilometres in radius in Colombo, the capital city. The political party system, elections, and the parliament enabled this narrow ruling elite to widen the social base of its support and legitimacy. In exchange, they offered the subordinate masses an extensive system of social welfare, remnants of which continue even today after thirty years of economic liberalization and twenty years of structural adjustment programs. The other side of Sri Lanka's democracy story is the emergence, and consolidation of what we call, in political science jargon, "ethnic majoritarianism." Sri Lanka has three main ethnic groups -- Sinhalese, Tamil, and Muslim -- with a few other smaller ethnic communities. The Sinhalese are a numerically strong majority with a share of nearly 75 per cent of the population. In the late colonial years, the Sinhalese and Tamil nationalisms -- "communalisms" would be a better term -- evolved against a backdrop of electoral democracy as mutually antagonistic political projects. After independence in 1948, this political antagonism grew further in a context where the political elite of the Sinhalese majority totally embraced politics of ethnic majoritarianism. They viewed political independence as having granted them an opportunity to redress "historical injustices" suffered by the Sinhalese-Buddhist majority under the European colonial rule. This political class viewed Sinhalization of the state and public policy as an utterly legitimate, and eminently democratic, process of post-colonial nation building. The Westminster model of electoral and parliamentary democracy became a perfect vehicle for their politics of ethnic majoritarian hegemony. Ultimately, the story of independent Sri Lanka became a Tragedy in Three Acts -- the Citizenship Act of 1948, the Franchise Act of 1949, and the Official Language Act of 1956. These pieces of legislation that discriminated against the ethnic minorities re-defined both Sinhalese and Tamil nationalisms in a post-colonial setting. The subsequent history of Sinhalese-Tamil relations under a working parliamentary democracy is not just history. It haunts Sri Lanka's present, and the future too, in the context of a violent and protracted civil war that began in the early 1980s. Sri Lanka has had a double civil war, one social and the other ethnic. These rebellions have laid bare some of the major structural deficiencies of the existing socio-economic and political order. The "youth rebellion" of 1971 and 1987-1990 concentrated mainly in the Sinhalese rural society, whereas the "ethnic insurgency" of the Tamils spread in the Northern and Eastern provinces. The first exposed the contradictions of the post-colonial regime of social and economic development which focused on state-centric economic growth, social welfare, and free education. It produced a whole generation of educated youth in rural and semi-rural districts with limited opportunities for employment and upward social mobility because the economy remained essentially colonial. It was a classic case of relative deprivation leading to massive social discontent, and eventually to two anti-state rebellions, the agenda of which was capturing state power. Issues of upward social mobility, economic and social justice, fair distribution of economic opportunities and social goods were at the heart of these anti-systemic rebellions. On the other hand, the Tamil secessionist insurgency began, and spread, in a context of grievances of discrimination and unfair treatment which the Tamil ethnic minority felt was their lot in the post-colonial political order. Attempts made to alter the political and constitutional structures of the state by means of electoral politics and parliamentary competition did not produce what is termed today as "federalist state reforms." The Tamil ethnic insurgency sought secession, but it has so far only produced a protracted and intractable civil war. Even with a raging civil war in the background for twenty five years Sri Lanka's parliamentary democracy has also functioned with no major challenges to its future from within. Yet, at present Sri Lanka's democracy is at a crossroads. The challenge is linked to the capacity of the political class to reform the state in order to address the ethnic minority demands for regional autonomy and the sharing of state power. A political, not military, solution to the "national question" requires some radical re-organization of the way in which state power is organized. In the current political debate in Sri Lanka, federalism is presented as the constitutional framework of a possible political solution. But there is no consensus on this vital issue. 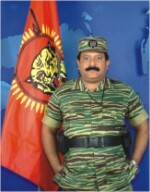 Sinhalese nationalist forces, that have experienced a wave of resurgence in recent years, are strongly opposed to federalism or regional autonomy. In response to this new trend, secessionist impulses in the Tamil society have also begun to strike back. Sri Lanka, at present, is back to war after four years of an uneasy cease-fire and failed negotiations for a political solution. 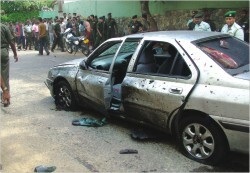 This war is likely to define the future directions and trajectories of the Sri Lankan state. It will also demonstrate the capacity, or incapacity, of the Sri Lankan society as a whole to avoid the catastrophic consequences of another phase of a deadly civil war, and move towards political reforms for peace and reconciliation. In brief, Sri Lanka's politics in the past few decades indicate the potential, and limits, of democracy as a way of associational life in a multi-ethnic and under-developed post-colony. To effectively get out of the present crisis, the Sri Lankan people need to re-invent their political futures through more democracy with greater autonomy to communities, and not less democracy with a re-centralized state, although there are many new champions for the latter goal. Jayadeva Uyangoda is Professor and Head, Dept. of Political Science and Public Policy, University of Colombo, Sri Lanka. He is also Founder Co-Editor of Polity, a monthly academic-activist journal published by the Social Scientists Association, Sri Lanka.